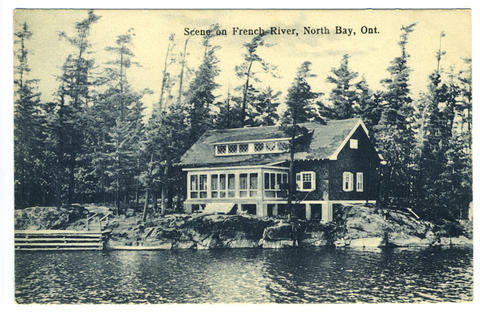 Item 004 - Scene on French River, North Bay, Ont. Item is a postally unused postcard. Front shows a cottage on the riverbank surrounded by trees.